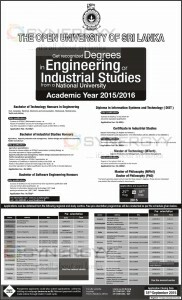 The Open University of Sri Lanka is Invites application for the Engineering and Industrial studies for the academic year of 2015/2016. The faculty provides opportunity to read for these research degrees. 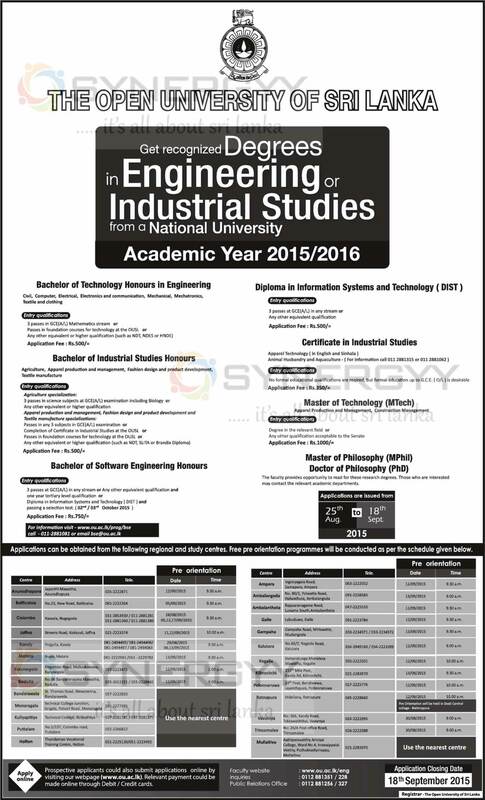 Those who are interested may contact the relevant academic departments.